When caring for a loved one with Alzheimer’s disease or other type of dementia, the safety around the home is a very important issue. Caregivers, here you can find some tips and advice in regards to keeping your home safe. Today, about 5.4 million Americans suffer from Alzheimer’s disease, with the majority of them being aged 65 or older. Safety at home is a very critical issue when caregiving for somebody with Alzheimer’s disease. Safe at Home is the key. Progressive Alzheimer’s disease makes it impossible for people with it to take care of themselves. Many of them require care 24 hours a day, seven days a week. In order to make that possible, many people with Alzheimer’s move into a loved one’s home for caregiving. Changes in personality and interests. Problems concentrating and general cognitive struggles. Long-term and short-term memory loss. Confusion with places, people, and timing. The inability to complete tasks that require sequential steps, such as getting dressed or making a meal. 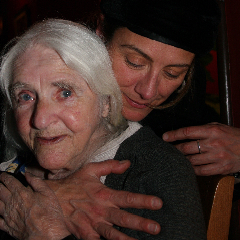 Caregiving for a person with Alzheimer’s disease is not easy. It’s difficult to watch people you love deteriorate and grow unable to do even the simplest things they used to enjoy. However, taking in people with Alzheimer’s gives them the opportunity to spend the rest of their lives surrounded by the people who love them while enjoying comfort and care. In order to make your home as safe as possible for a loved one with Alzheimer’s disease, you’ll want to make a few preparations around the house. One of the utmost important things about caregiving for people with Alzheimer’s is preserving their dignity and showing them respect. Loved ones need a room of their own where they can have privacy and a place where they can escape the noise and confusion of outside. Their room should be safe, comfortable, and easy for them to move around in. Provide them with all the things they love whether it is a stereo for music, books, blankets, or a television. Remove hazardous decorations that can break or shatter upon impact. It’s also helpful to give them a room on the first floor near a bathroom for accessibility. The bathroom and kitchen are the most dangerous rooms in the house. If you are taking in Alzheimer’s patients for the long term, it may behoove you to accommodate these rooms for them with a remodel. To do this, you have to take cost into consideration. For instance, the average cost to remodel a kitchen is $19,589. There are several ways to modify your kitchen for safety. Considering the amount of dangerous tools and materials in the kitchen, locks on drawers and cabinets containing these things can prevent loved ones from hurting themselves. Some people also put locks on the refrigerator as the disease progresses. If the room contains steps or stairs, a safety ramp with rails to hold on to can help your loved one navigate the area safely. When changing your bathroom, it’s important to make it accessible for loved ones while reducing hazards that can lead to a fall. Grab bars or side bars near the toilet and tub can help them get up and down safely and with ease. Label all water faucets clearly so they know which one controls hot and which controls cold. A scalding burn can be a devastating injury. Finally, make liberal use of non-slip mats, stools or chairs, and lighting. If you are one of the millions of Americans who takes in loved ones suffering from Alzheimer’s disease, you’ll need to prepare your home to make a safe, comfortable environment. Providing them their own room is paramount; it’s important to respect their privacy and preserve their dignity. You may also want to consider making renovations or modifications in the kitchen and bathroom. These rooms are important but contain plenty of hazards you want to avoid. This entry was posted in Elders mental Health and Wellness, Geriatric Consulting on December 27th, 2017. Tags: Alzheimer's disease, Safety at home with Alzheimer's, safety at home with Dementia, Tips and advice for caregivers.